We absolutely LOVE LOVE LOVE using Shootproof to deliver photos to our clients! Not only does Shootproof have gorgeous photo galleries and is super easy to use (for us AND our clients), I thought I’d hop into our Shootproof account and record myself sharing the six crazy awesome features that we seriously love about Shootproof. The video is just shy of 20 minutes, but if you want to jump around, the minute breakdown is below! Shootproof is the software we use to deliver our images to our clients. So when a lovely bride and groom view and share their images, they’re viewing and sharing them in a Shootproof gallery. 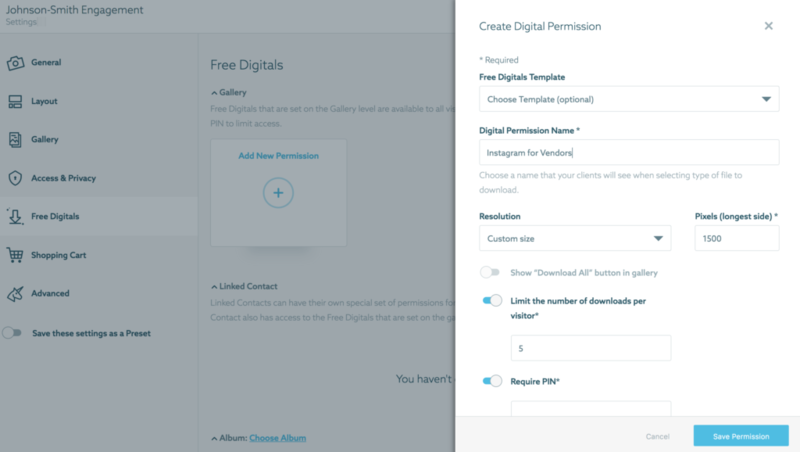 It’s also where our clients download their images, based on the download preferences we set for their gallery (which is one of the features we love - feature #4!). Lastly, it’s also where they order any nice professional prints they’d like to have. Which brings me to the first feature that we love about Shootproof - the selection of professional labs. These are some of the best print labs in the United States, and you really can’t go wrong with any of them! The best part is that you can use different labs for different types of shoots. If Bay Photo offers a certain print paper that is perfect for your wedding clients, then you can choose that lab for all of your wedding orders. However, if you love the framed print options over at Miller’s, then you can choose to have your portrait gallery orders sent there instead. Or maybe you sell fine art images through Shootproof, and you want those print orders sent to Richard Photo Lab. Go for it! I love that Shootproof gives us that flexibility! When one of our brides places a print order, I can decide how hands on or hands off I’d like to be with the order process. I can choose to have all of our orders sent directly to the print lab we’ve set, and then shipped directly to our client without EVER seeing the order or lifting a finger. Our orders could be 100% automated! If we want a little more control over our orders, we can also choose to review and approve all of our orders before they get sent to the lab. This is the option we choose for our studios. We want to check the cropping and retouching on the images to catch any issues before they’re printed and shipped. For example, Grandma Dolores may order an 8x10 of a large family portrait without realizing that the 8x10 will cut off Uncle George and Cousin Nick on either side of the image. In this case, we’ll catch the problem before it’s sent to the lab. We’ll call Grandma to let her know that we’re going to switch out the order with an 8x12 instead. Also, we offer complimentary retouching on any prints ordered that are 11x14 or larger. So by approving the orders first, we catch any large prints that come through. We then retouch and replace the files in the print order before approval. Super simple! If you have a local pro lab that you love to support that isn’t integrated with Shootproof, then you can feel free use them by self-fulfilling your print orders. You’ll simply choose to have Shootproof process the order and payment only. You’ll receive the order, and then take it from there with fulfilling and shipping the order yourself. This is the perfect option if you want a lot of control over the printing process. I love that Shootproof gives us the option to be as involved as we want to be with the print order process! In order to generate passive revenue from print sales, we can’t just sit and hope that orders roll in. We have to be proactive about our marketing and Shootproof helps us do this. Shootproof allows us to do this through their automated email campaigns. With every single one of our galleries, we require a visitor to enter an email address upon entry. This is so we can send automated emails about print promotions, expirations, etc. Asking for an email address is the single biggest factor in generating print sales! Once we’ve required an email address for our galleries, we can set up automated email campaigns directly in Shootproof to generate automated passive income. No need to use a separate email system like MailChimp or Drip. You can send email campaigns directly from within Shootproof! We have a nine email Holiday Campaign in our Shootproof account that single-handedly generated over $5k in additional print revenue at the end of last year! And guess what? You can STEAL our Holiday Email Campaign for FREE and use it in your business too! 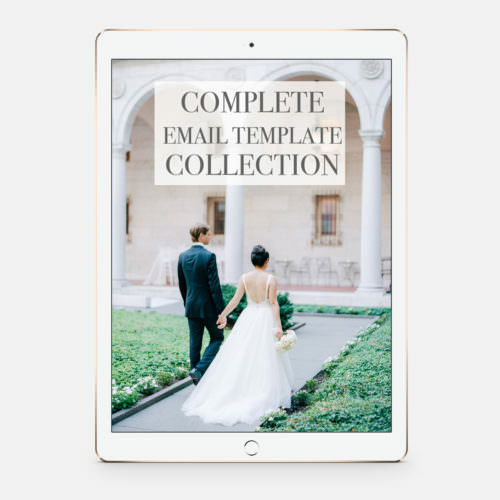 You’ll find ALL NINE EMAIL TEMPLATES plus all of the info on how to create them in your Shootproof account over on the Shootproof blog here. You’ll get all of the subject lines, email copy, call to action text, plus the dates and times you need to send each email! So many of our fellow photographers and students have seriously doubled their gallery print sales just by implementing this simple email campaign! Snag Our FREE Holiday Email Campaign Here! Plus, our Holiday Email Campaign can be used during ANY holiday or ANY promotion throughout the year, so you don’t have to wait until November to start. In addition to our Holiday Email Campaign, we have an automated series of nine emails that goes out to all gallery visitors for each and every wedding we photograph. You can get our exact wedding email campaign, too! This go-to email campaign keeps our print sale revenue growing throughout the entire year - and it’s completely automated! 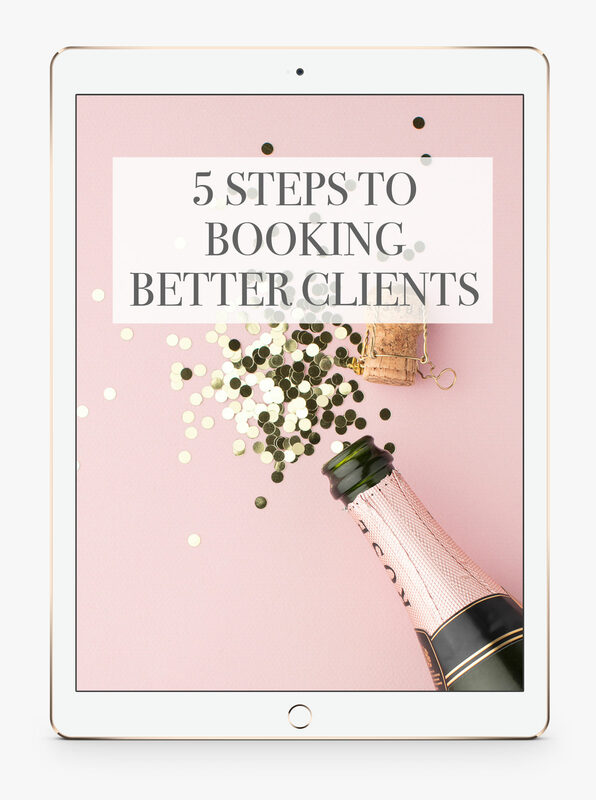 This includes the exact text, subject lines, calls to action, and send times & dates for every single wedding gallery. In order to make any passive revenue on print sales at all, you absolutely need to be proactive about setting up some automated systems. 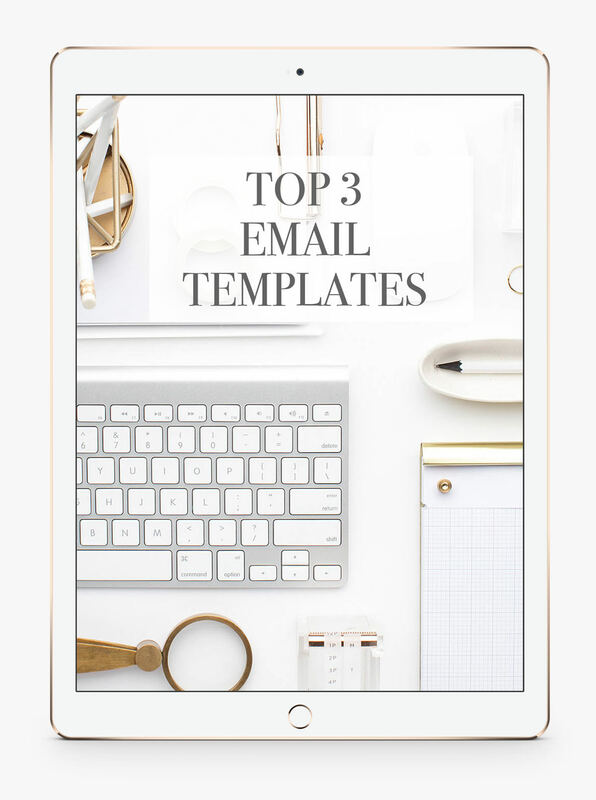 So grab our email templates and start generating some extra cash! This is such an incredible feature in Shootproof! Within each gallery, we can decided how much or how little permission we want to give to clients and vendors to download digital files. We now have more control than ever on how clients and vendors get to download images from their galleries! In the settings tab of each gallery, you'll find a dashboard with tons of different options for download settings. So we can choose any number of restrictions on digital files based on what our clients booked with us. Anyone that comes to the gallery can download any or all of the full-size, un-watermarked images. JUST the client has access to full-size downloads. If you only want the highlights or a certain vendor album to be downloaded, you can have download permissions for a certain album or category in the gallery. There are so many options on how you can set your download permissions, that the possibilities are endless! 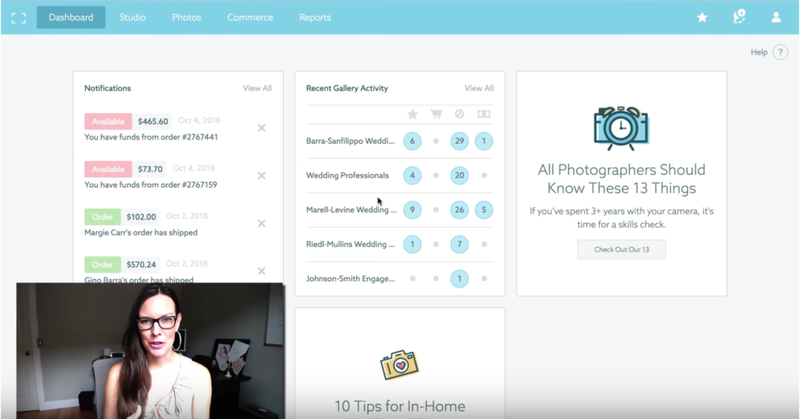 In fact, there’s so much here, I may do a whole separate video on how we specifically use the download permissions in Shootproof with our weddings, engagements, and vendors. This is an extremely useful feature for those photographers that don’t have a client management system like Tave or Honeybook to manage your contracts and invoices. You can send contracts and invoices directly to clients from Shootproof! We don’t use this feature in Shootproof because we use Tave for signing contracts and sending invoices to clients. 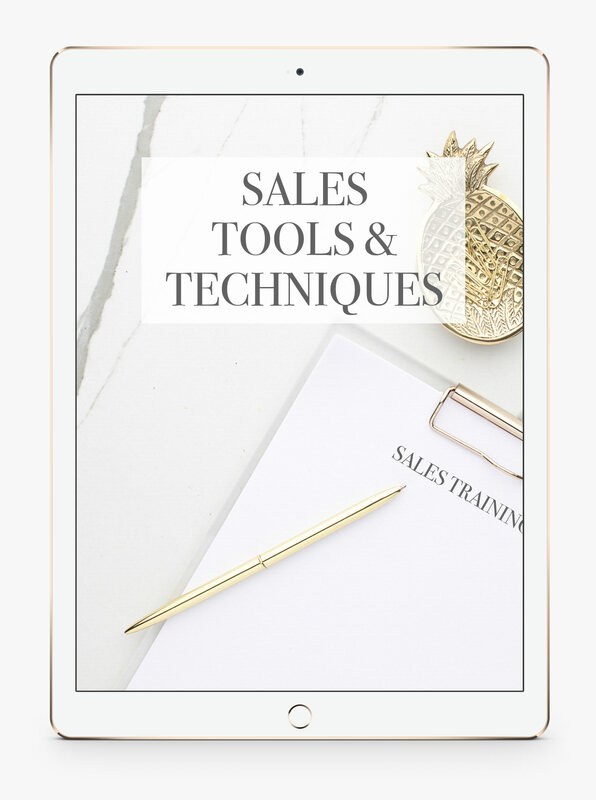 But I love that this option is available so that you can use one single system for your proofing galleries, print sales, contracts and invoicing. 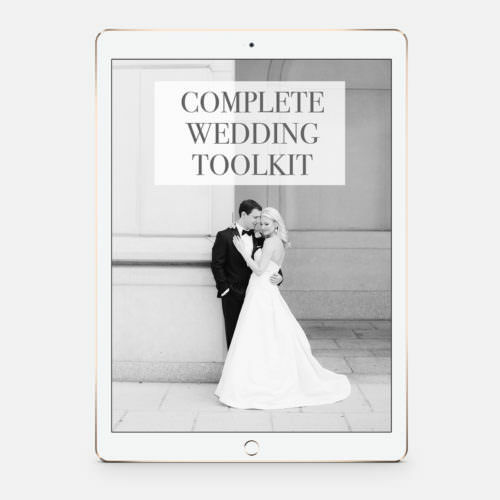 Also, if you’re just getting started and need a contract, our exact wedding contract is available in the Shootproof marketplace and will import directly into your account. This is the exact same contract that we've developed with our lawyers and we use it for every single one of our wedding couples in our Tave system, so we stand behind it 100%! 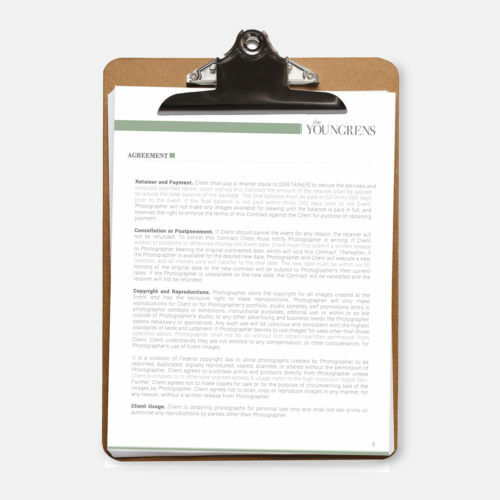 And if you love our contract but don’t want to use it in Shootproof, it’s the same one that’s available in our store here. Jeff and I operate three different brands in our single studio - The Youngrens, Bauman Photographers, and Clove & Kin. Each brand has completely different logos, colors, fonts, styles, and email addresses, so the galleries need to reflect that. In Shootproof, we can easily switch between different brands in the SAME account - no logging out and logging back in! Most photographers photograph a few very different types of shoots that require a completely different look and feel from each other. 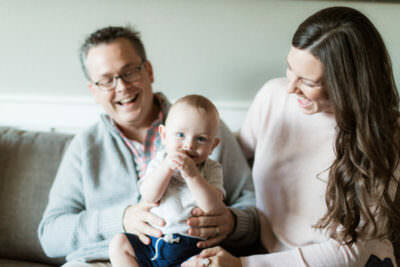 Maybe you photograph newborns and seniors, or weddings and headshots. You can have each of those types of shoots as different brands in Shootproof. So you can use different logos, watermarks, email addresses, and colors for each different brand that you run underneath the umbrella of your single business. They have an amazing selection of professional labs to choose from (and the ability to use different labs for different galleries). We can be as hands-off or hands-on with our print orders as we’d like. There's the option to fully automate, self-fulfill, or go in-between. Our studios make lots of extra passive income on print sales by sending automated email campaigns from within Shootproof. We have TONS of control over digital downloads with Shootproof. We can choose what sizes, how many files, which albums or categories, and which users have access to digital files. Shootproof lets you send contracts and invoices to keep things all in one system. It’s super easy to switch between different brands with different logos in the same Shootproof account. No logging out and logging back in! Interested in Shootproof? Mention The Youngrens! If you found this helpful and want to check out Shootproof for yourself, we’d super appreciate it if you mention The Youngrens when you sign up. Full disclosure: we’re affiliates of Shootproof, and it’s because we’ve used and loved it for many many MANY years! We have HUNDREDS of galleries in Shootproof between our three brands, and clients are downloading images, buying prints, and receiving emails even as you read this right now.